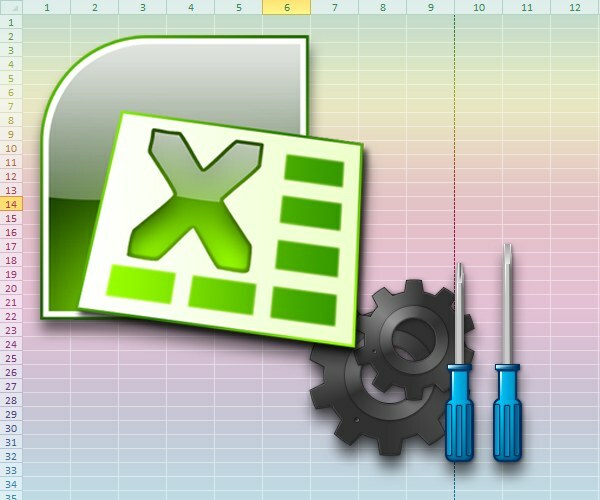 The table editor Microsoft Office Excel is the most common today an application for working with spreadsheets. After the installation of a new version of this program quite often, you must change its settings to lead them to a familiar sight. Access program settings in recent releases of the editor is organized in different ways. Expand the "File" menu in the table editor. If you are using a version of Excel 2010 you need to click the mouse on the green button in the upper left corner of the application window. In version 2007 it is approximately in the same place is a large round button without any inscriptions, which the manufacturer in all the documents refers to Microsoft Office. To open this menu and other method - press Alt and the program will display each menu item letters of the Russian alphabet. Pressing the key with the corresponding letter will reveal the associated menu item "File" are assigned the letter "f". Select "Options"if you are using Excel 2010 is the second from the bottom row in the main menu. In Excel 2007 this item replaces the button with the text "Options Excel", placed in the lower right corner of the open menu - click it. Both of these actions open the settings page spreadsheet broken down into sections, a list of which is placed at its left edge. If you are using an even earlier version of Microsoft Excel (e.g. Excel 2003), then search for the desired item in the "tools" section of the application menu. It's called "Options" and opens a separate settings window, composed of thirteen tabs. A setup table editor, you can change without using the settings page. For example, to change the default zoom level of the pages is enough to spin the mouse wheel while pressing the Ctrl key. Installed in this way, the increase (or decrease) will be automatically saved by the application and used when you next start Excel. Not always open the document uses the settings set by you in the spreadsheet editor. If this table was created using other systems, when it is saved they have been written to the file and when you open your Excel read and reproduced them especially for this document. Excel – a popular program that facilitates the work with figures and tables, as well as to analyze fairly large amounts of information. The program included in the Microsoft Office Suite. You can buy on disk or download from the official Microsoft website. To install Excel correctly, you need to use the automatic installation of the whole Microsoft Office package. If the components are already installed (for example, if performing a custom installation of other programs), or the user due to various reasons resets only the program Excel, then you need the installation process to remove all checkboxes next to installed programs, leaving her only in front of install Excel. If re-installing Excel, then during installation, Microsoft Office will automatically detect missing components and prompt the user to install them. Many fairly experienced users can install Excel on their own. For this, the folder Microsoft Office installation go to the folder with the program Excel and run the setup file Setup.exe. The first dialog that appears will prompt the user to enter a 25-digit Product Key (product code). Usually the code is on the box that the program. In the case where the program is downloaded from the Internet, after the user has paid for the cost of the program, the company sends the Microsoft Certificate of Authenticity (certificate of authenticity). By entering code, click "Next". In the next window, the user can enter their personal details and again click "Next". You will jump to the tab with the license agreement, where you confirm your consent. After that, the installation program prompts you to select the type of installation. Here just need to specify what the user is going to install. Choosing to install Excel with all applications and install them on the hard drive. While working with the program may require the installation of additional modules. If you did not initially save them on your hard drive, then it will take each time to insert in the CD-ROM distribution or specify the path to the folder with downloaded installation from the Microsoft website. Microsoft Office Excel is designed to analyze and process data, working with formulas, spreadsheets, graphs, charts. The range of actions available for execution in this application is extremely wide. But first, it's better to get acquainted with the software interface to configure MS Excel for themselves. The developers have ensured that all the necessary user tools were easily accessible and they do not have to search long. So the main menu "File" with the usual commands "Open", "Create", "Save", and so forth collapsed under the Office button in the upper left corner of the program window, and often used options, commands and tools included on the tape. On the ribbon, there are tabs such as "Home", "Insert", "Formula", "Data" and so on. Each tab presents a number of tools that, in turn, are divided into categories and sub-categories. Tape can be shown as in the collapsed and expanded view. To select the view ribbon, click the right mouse button and select marker in the menu "Roll the tape" or, conversely, remove a token from this item using the left mouse button. Over the tape to the left of the Office button located in the quick access toolbar. There may be buttons that the user is often required during operation, for example, with the commands "Save", "Undo last action", "Return action". If you click on the arrow button in the right part of the panel, unfold the submenu. In it, you can mark with a marker the commands that you need, and they will appear as buttons on the quick access toolbar. If commands in the list is too few, select "Other commands" and add the buttons from the expanded list. To customize the status bar, right-click the mouse on the lower pane in the program window. Unfold the menu. Mark with a marker the items that should be displayed when working with Excel worksheet: signatures, page numbers, the mode of the cell, scale and so on. To access the advanced settings in Excel, click the Office button and select the end menu item "Excel Options". This will open a new dialog box. In his left part shows the topics: "Basic", "Formula", "Resources", "add-ins" and so on. At the right of each section you can select certain options for working with Excel, starting with color changing interface, and ending with the setting calculations and working with formulas. All changes in the settings, you must confirm by pressing OK.